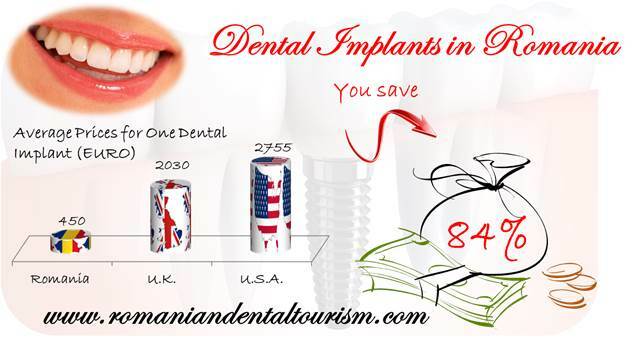 Romania is well known as a destination for dental tourism and while Israel may seem closer for middle easterners, the Carpathian country remains a very good option because dentists in Bucharest are professional and the overall dental costs are extremely affordable. There are many factors that influence a patient’s decision when picking his or her destination for dental treatments abroad and Romania can successfully rank first among the quality of the services and the affordable prices. Moreover, tourists will find that Bucharest has a lot of beautiful landmarks and those interested in religious pilgrimages can also take a few extra days to visit some of Romania’s historic churches. Prices in Bucharest are lower compared to those in Jerusalem, for example. Romania is known to have extremely low costs for transportation compared to other European countries: 0.28 euros per bus ticket and 0.30 euros per kilometer/taxi. Compared to Bucharest, getting around Jerusalem will cost you more: 1.61 euros for a one-way ticket and 1.17 euros per kilometer/taxi. Accommodation is also affordable in Bucharest: prices per night at a central hotel in Bucharest will start at about 40 euros while in Jerusalem hotels are more expensive, starting at around a minimum of 60 euros per night. Restaurants in Bucharest can satisfy even the pickiest eater and Bucharest is also known for its nightlife. However attractive Bucharest and Romania are as a tourist destination, they are also a good choice for those who want an excellent location for dental treatments abroad. Our clinics in Bucharest are staffed only with experienced dentists and Romanian dental professionals are known for their expertise. At our clinics in Bucharest, prices will start at 450 euros for dental implants and will reach 350 euros for crowns made up from various high quality materials. Teeth whitening is also a popular procedure and will cost only 230 euros. 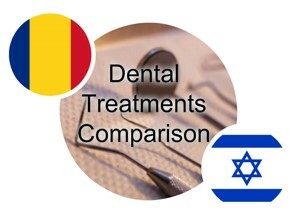 A basic comparison shows that in Israel the prices for the same dental procedures are higher: starting at 900 euros for dental implants and about 300 euros for teeth whitening. 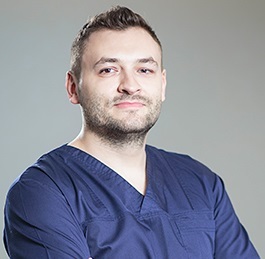 Our dentists in Bucharest can tell you more about dental tourism in Romania and an even help you with information about how to plan your trip. Please contact our team of dentists if you have any inquiries.